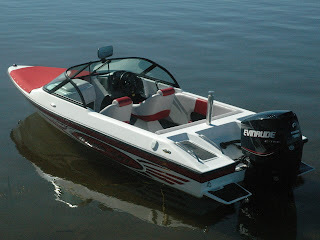 These pictures are not all on the Dyna-Ski web site. 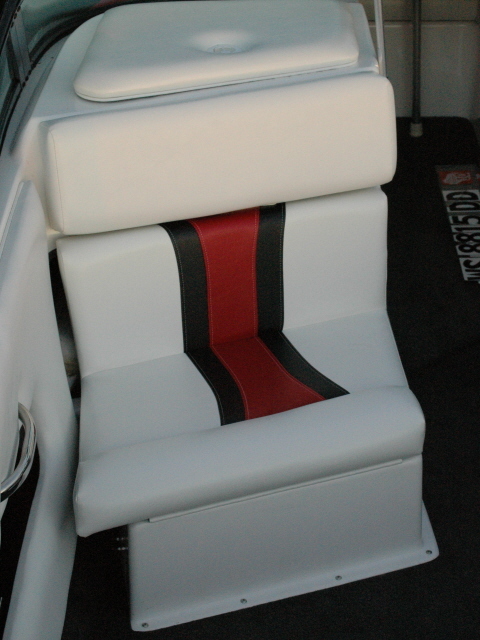 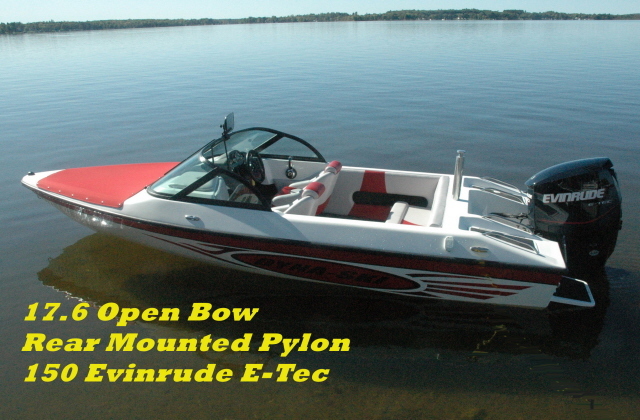 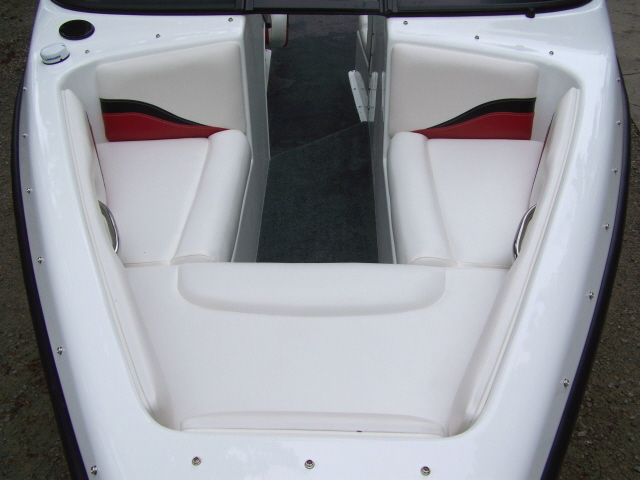 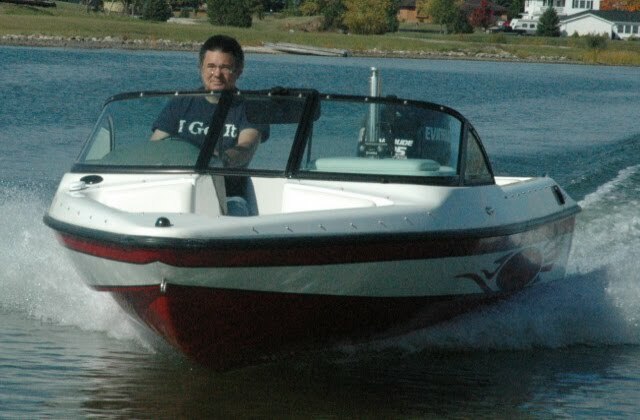 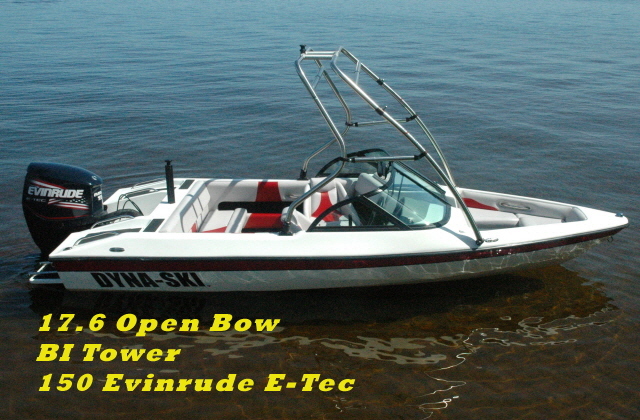 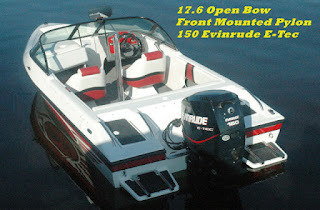 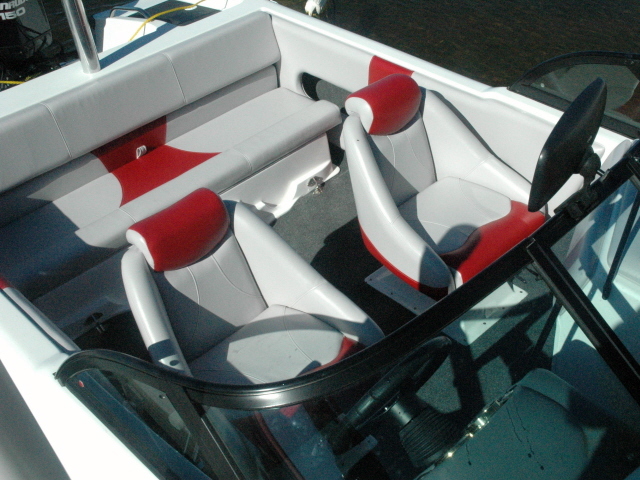 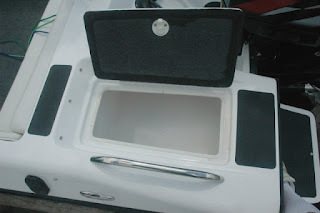 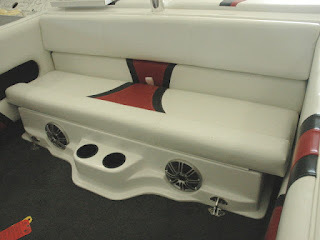 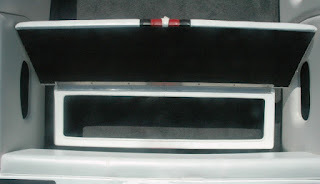 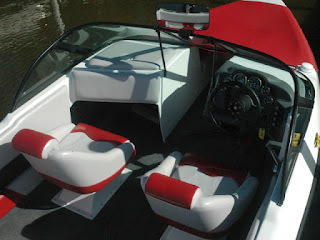 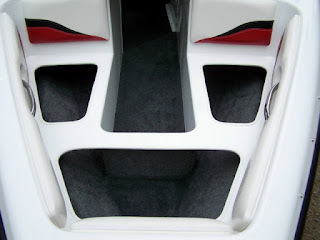 Seats and many features are the same in all the Open Bow Models. 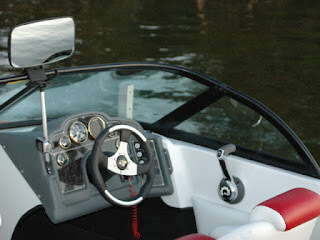 Observer Bucket is mounted with a swivel. Observer Bench mounted on a hinge. 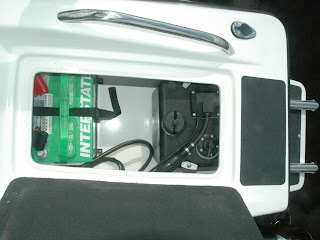 Battery and Oil Tank are easily accessible next to the motor well. 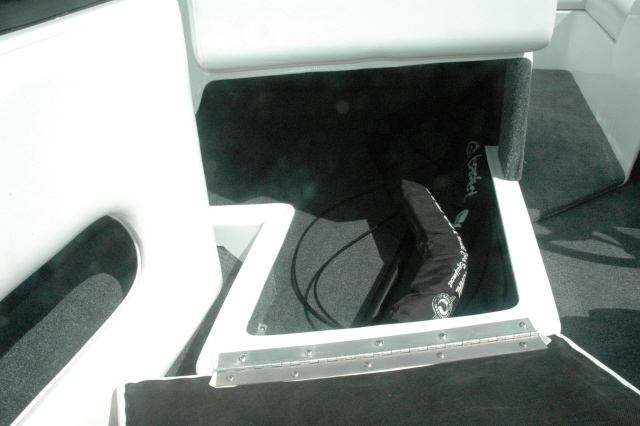 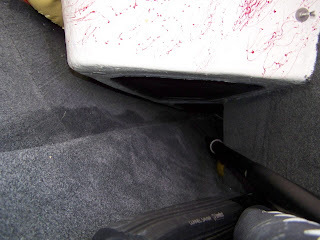 Storage area in front of the observer seat and under the bow cushions. 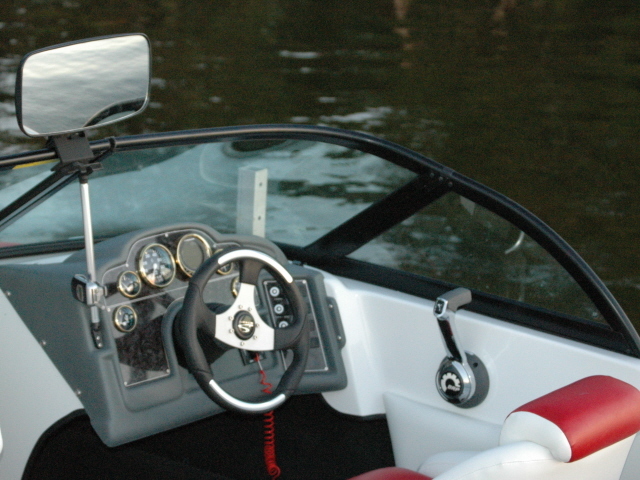 Barefoot International V-Drive Boom fits easily in the space.